President Donald Trump is on a bit of a losing streak after Pennsylvania’s special election. Some are concerned about his campaigning strategy moving into the 2018 midterms. President Donald Trump’s preferred candidates have been on a recent losing streak in recent months, leading his allies to question what his strategy should be moving forward into the 2018 midterms. This week, Republican Rick Saccone dropped a special election to Democrat Conor Lamb in Pennsylvania’s 18th Congressional District by a razor-thin margin. But the district had gone for Trump by 20 points in 2016 and sent former Republican Rep. Tim Murphy to office without much contest for the better part of two decades. Trump campaigned with Saccone just days prior to the election, placing his face right in the middle of the bout. While the election was being viewed as a bellwether for the 2018 midterms, the seat itself will no longer exist later this year as a result of redistricting in Pennsylvania. One former Trump campaign official said Trump’s entrance in the Pennsylvania race was “egregious” since the district won’t exist later this year. Both Saccone and Lamb are preparing to run in separate districts later this fall. “You have to be discriminating,” the official said. The Pennsylvania flop comes on the heels of Trump’s failed gambits backing former Republican Sen. Luther Strange, and then former Alabama state Supreme Court Chief Justice Roy Moore, for the vacant Senate seat in that state’s special election last fall. 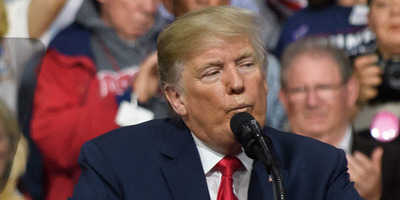 Combined, the episodes show the downside of Trump’s strategy to involve himself more heavily in campaigning for others than recent presidents. As The Washington Post reported late last year, the White House is planning “a full-throttle” campaign plunging the president into the 2018 midterms. Trump told advisers that he wants to travel across the country holding rallies, spending much of 2018 campaigning in Senate, House, and gubernatorial races – even GOP primaries. But racking up defeats could “waste” Trump’s political capital, allies say. “To put his face and make him the center of all these special elections, doesn’t do him any good,” the former Trump campaign official told Business Insider. The landscape later this fall will not be like the past few months, with hundreds of contests taking place. But others say Trump should get as directly involved as he can. After Pennsylvania, many Trump allies pointed to Saccone’s performance as proof the president’s visit actually improved the result, pointing to polls that showed Saccone down by a more significant margin ahead of Trump’s pre-election rally. Another issue is the candidates themselves. Strange may not have been a great fit for the Alabama electorate because of his ties to a scandal-laden governor’s administration. Moore was accused of sexual misconduct with teenagers when he was in his 30s. And Saccone did not seem to excite voters like Lamb, whom Republicans were willing to call a much stronger candidate. In essence, he said, Republican candidates need to be willing to run more Trump-like, outsider campaigns. “If these candidates fail to do so, they simply won’t win,” he said.